A part of Chaudhari Group of Companies, CG Ayurveda and Biotech is a recent establishment of one of the largest group of companies of Nepal. 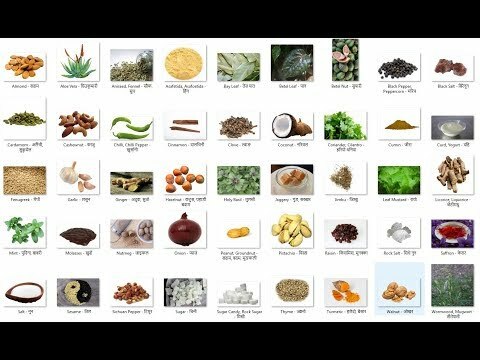 After its success in almost all the fields of business and production such as food products, cement, finance, electronics, real estate and telecom among others, the group has shown interest in the world of Ayurveda, a field of medicine that has been used since the beginning on the civilization. Currently, the group is involved in trading the natural herbs collected from cultivators, suppliers, etc. to India as well as selling it in the domestic market and also grinding and oil extraction. The Grinding and Oil Extraction unit located in Nepalgunj processes the raw herbs collected from the local environment and suppliers and then, grind and extract the oil from them. This helps in adding the value to the materials that would be exported. It also plans to develop a fully equipped and functional Research and Development facility to get into the personal care and life style product markets. Moreover, it aims to get into research focused crop cultivation, farming and replication as part of its backward integration activity in order to have a sustainable supply of raw material. In collaboration with an internationally renowned organization, it is also setting up a GMP compatible High Tech Ayurveda medicine manufacturing plant and an international standard Research and Development facility in its industrial complex at Chaudhary Udyog Gram in Nawalparasi district of Nepal. At the facility, it aims to produce patented medicines for some diseases such as such as Anti Hyperglycemic for Diabetes, Anti Hypertensive/ Anti Stress, Skin Care, Laxatives, Aphrodisiac, Gastritis, Liver Disorder, Renal Disorder and Gynecological disorder along with producing some orthodox medicines such as Chyavanprash, Abhipatikar, Hingwastak, Pure Silajit and Sitapladi. It is also starting its cultivation of organic vegetables in a research driven in-house farm in Kathmandu and three farms in Nawalparasi. As the initial phase of starting the venture, it is beginning the development of fruit orchards, industrial horticulture, animal husbandry and dairy among others. Moreover, with the technical support and collaboration from well known international seed producer, Chaudhary Group also plans to produce hybrid seeds in Nepal. After the successful involvement and investments in the various sectors of business and economy in the country, the largest business group of Nepal has shown an interest in the field of Ayurveda and Biotech. Although the announcement of the establishment was made in the year 2013, the company has already begun the process with the aim of becoming a market leader in yet, another business and economic sector in Nepal. Besides these, the Chaudhary Group has CG Motocorp, CG Cement, CG Electronics and White Goods, CG Education, CG Energy, CG Financial Services, CG FMCG, CG Health Care, CG Hotels and Resorts, CG Realty, CG Retail, CG Telecom, CG Entertainment and CG Coastal Projects (EPC). For further details, visit http://chaudharygroup.com/index.php/biotech.html.